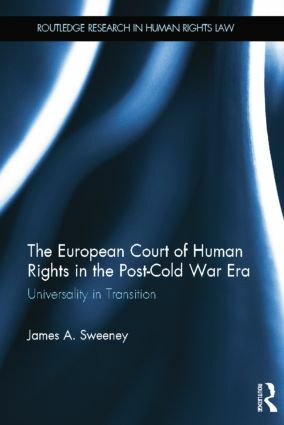 The European Court of Human Rights in the Post-Cold War Era: Universality in Transition examines transitional justice from the perspective of its impact on the universality of human rights, taking the jurisprudence of the European Court of Human Rights as its detailed case study. The problem is twofold: there are questions about differences in human rights standards between transitional and non-transitional situations, and about differences between transitions. The European Court has been a vital part of European democratic consolidation and integration for over half a century, setting meaningful standards and offering legal remedies to the individually repressed, the politically vulnerable, and the socially excluded. After their emancipation from Soviet influence in the 1990s, and with membership of the European Union in mind for many, the new democracies of Central and Eastern Europe flocked to the Convention system. The voluminous jurisprudence of the European Court of Human Rights can now give us some clear information about how an international human rights law regime can interact with transitional justice. The jurisprudence is divided between those cases concerning the human rights implications of explicitly transitional policies (such as lustration), and those that involve impacts upon specific democratic rights during the transition. The book presents a close examination of claims by states that transitional policies and priorities require a level of deference from the Strasbourg institutions. The book proposes that states’ claims for leeway from international human rights supervisory mechanisms during times of transition can be characterised not as arguments for cultural relativism, but for ‘transitional relativism’. "Sweeney has made an important contribution to the literature on transitional justice and how human rights law can play a constructive role beyond simply setting goalposts for universal principles." Dr James A. Sweeney is a Senior Lecturer in Law at Durham University, UK. He is also Deputy Director of Durham Global Security Institute. Dr Sweeney has acted as an expert advisor to the Council of Europe in relation to freedom of assembly projects in Armenia, Azerbaijan (with the Venice Commission), Georgia, and Kosovo. In March 2011 he delivered human rights legal training to judges of the Ukrainian Supreme Court as part of a UK Foreign and Commonwealth Office project. Throughout 2009 he acted as an expert advisor to the EU's Committee of the Regions as it prepared its Opinion on reforms to the Common European Asylum System. His work on the human rights of failed asylum seekers has been cited by both the UK House of Lords (in its former judicial capacity) and the Court of Appeal. This series contains thought-provoking and original scholarship on human rights law. The books address civil and political rights as well as social, cultural and economic rights, and explore international, regional and domestic legal orders. The legal status, content, obligations and application of specific rights will be analysed as well as treaties, mechanisms and institutions designed to promote and protect rights.